Jennifer A. Nielsen is the acclaimed author of the New York Times and USA Today bestselling Ascendance Trilogy: The False Prince, The Runaway King, and The Shadow Throne. 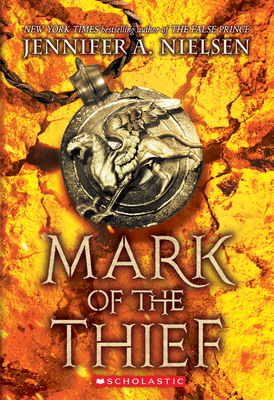 She also wrote the Mark of the Thief trilogy: Mark of the Thief, Rise of the Wolf, and Wrath of the Storm; the standalone fantasy The Scourge; the historical thriller A Night Divided; and Book Six of the Infinity Ring series, Behind Enemy Lines. Jennifer lives in northern Utah with her husband, their three children, and a perpetually muddy dog.